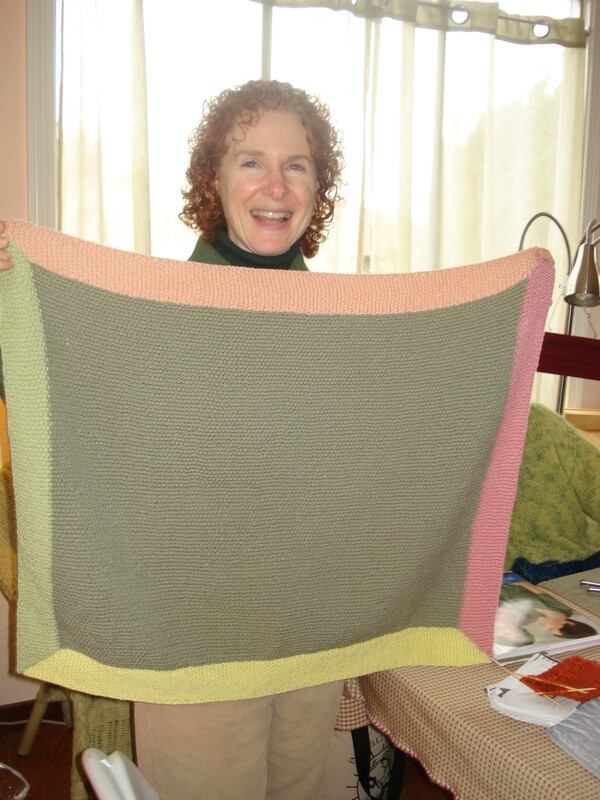 It wasn’t that long ago that Shari was working her way through what seemed to be the never-ending seed stitch (also often referred to as Moss Stitch) baby blanket. Would it ever be done?! It’ done! 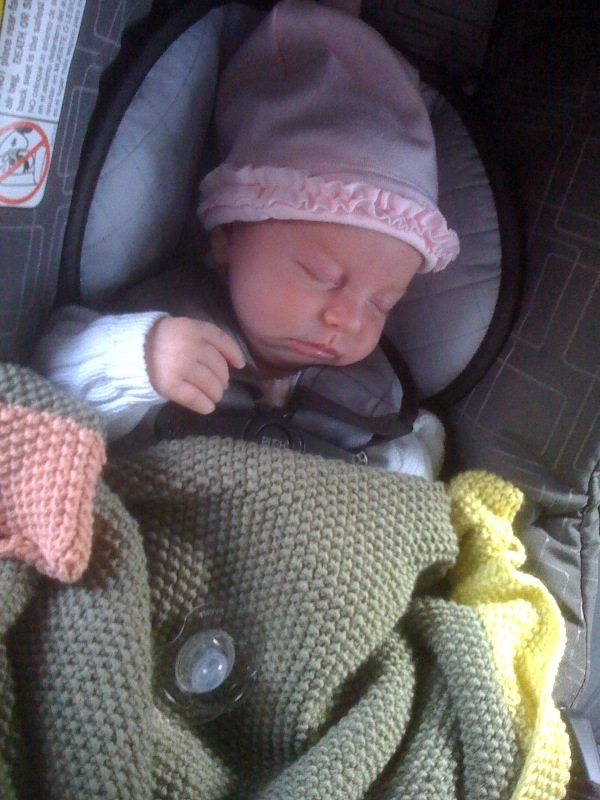 Here’s the knitting journey to the baby. 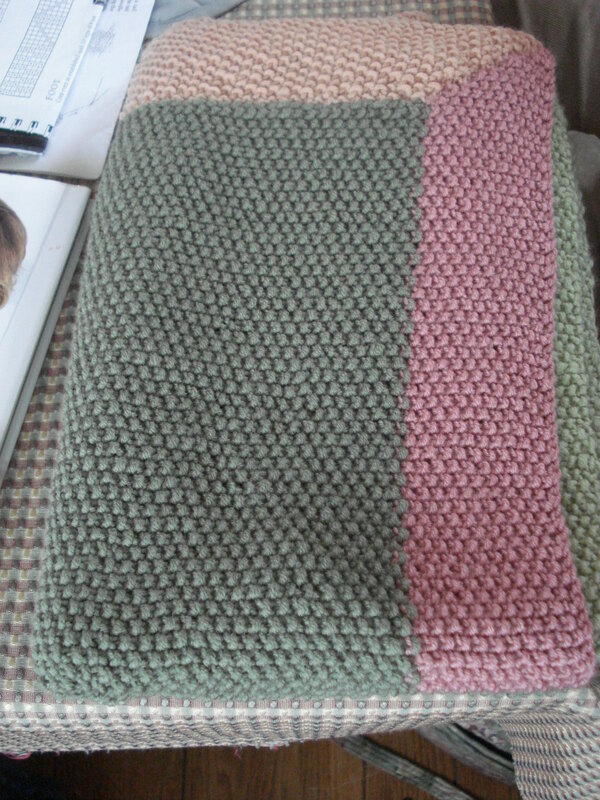 You can read more about the making of this baby blanket at an earlier post. OH, it turned out so well. Great job, Shari!